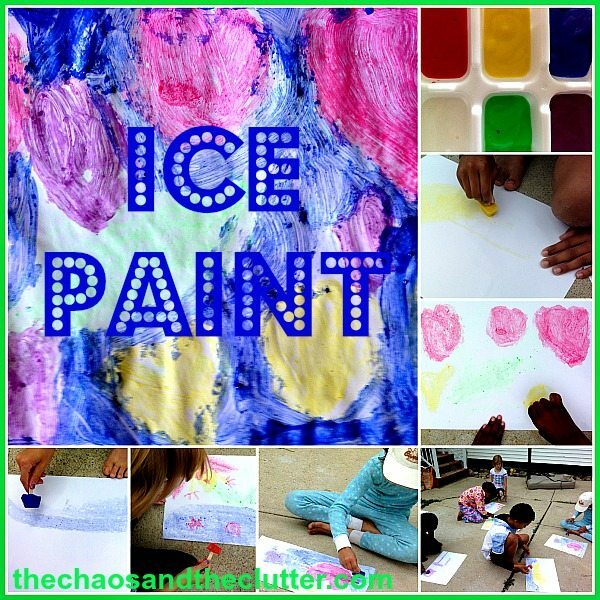 Ice painting is a great outdoor activity for kids to engage in. 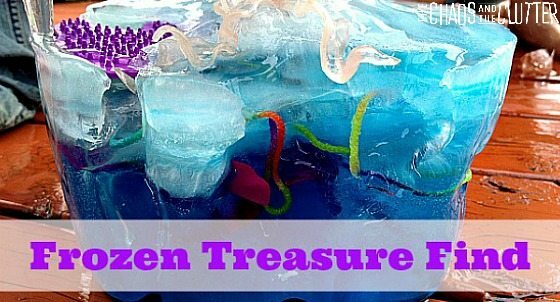 It allows exploration of temperature, texture and art. 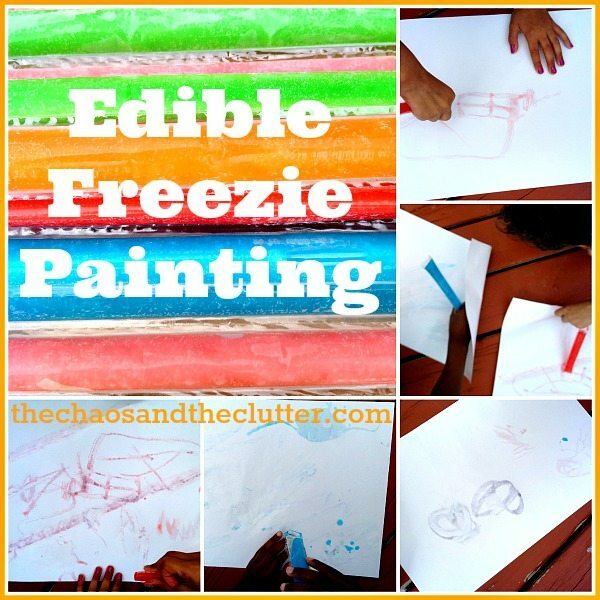 All that is needed for this art project is an ice cube tray, tempera paint, popsicle sticks, and paper. 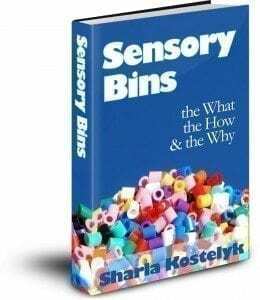 As I have been doing for some of our sensory art projects, I again used fingerpainting paper because of its glossiness and durability. The set-up for this particular art was very simple and the finished products turned out quite well! 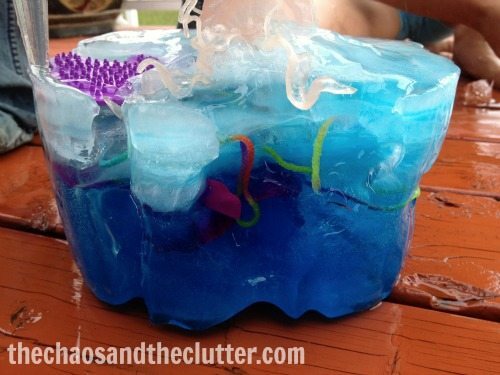 To prepare for this, I poured tempera paint in ice cube trays and put them in the freezer. 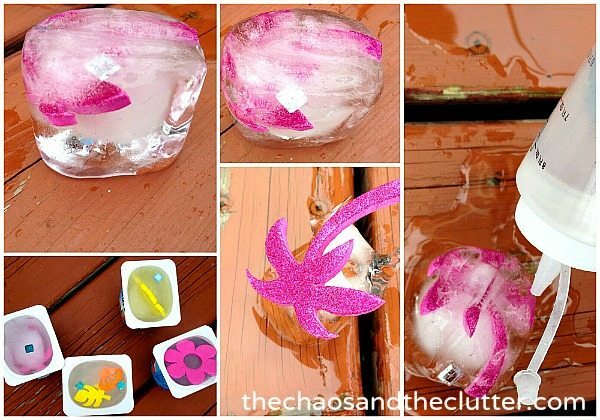 I let them set for a bit and then inserted small popsicle sticks in them before allowing them to freeze completely. 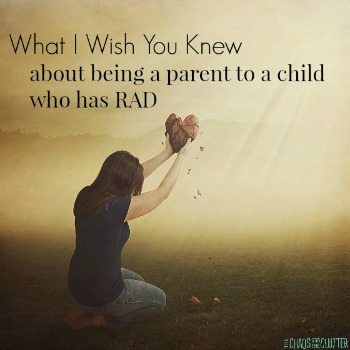 I actually left mine in the freezer for several days because it was a rainy week and I was waiting for a day when the sun came out! When it came time to the actual painting, I ran the bottom of the tray under water to loosen the paint pops and then gave the kids their ice paint pops and let them paint away! 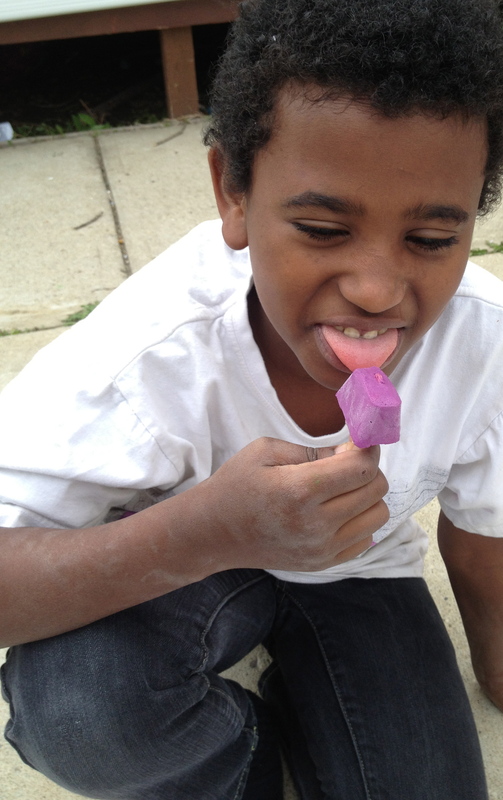 As the paint pops melted, some of the kids used their hands to spread paint around. I forgot to add that Snuggle Puppy really got into the whole “sensory” concept and decided to lick the ice pop! I do not recommend you try this one at home!!! 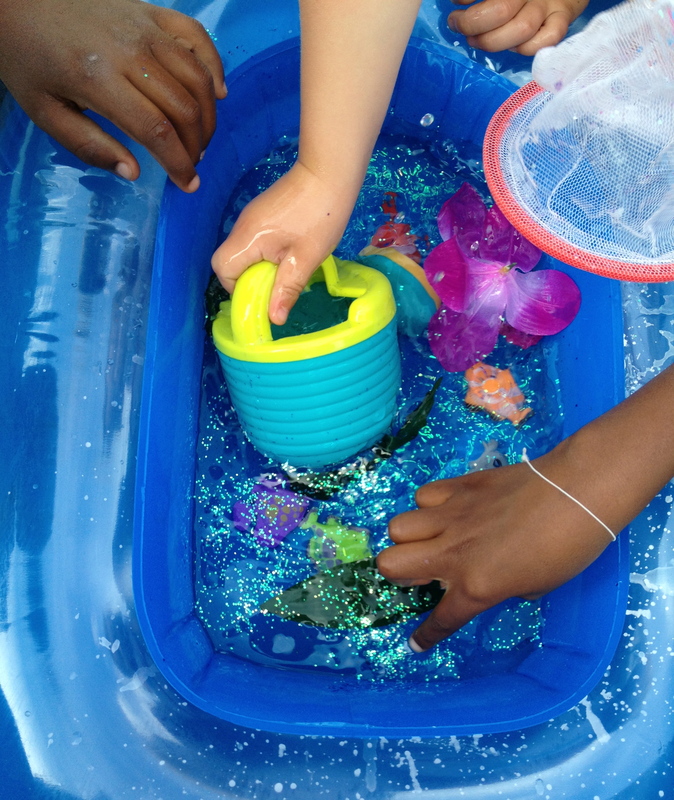 This is just one of the projects we did as part of our 5 Days of Summer Sensory Activities. The last time we did shaving cream painting, I used food colouring to add the colour and we painted mostly inside on paper, though the kids did end up using it to paint on trees and on themselves! 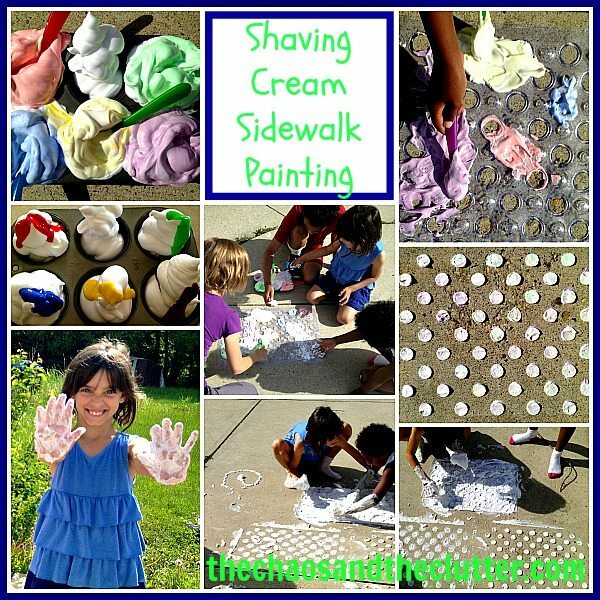 Since I still have many cans of shaving cream that I got for free using coupons, I thought that maybe we could try an outdoor version. 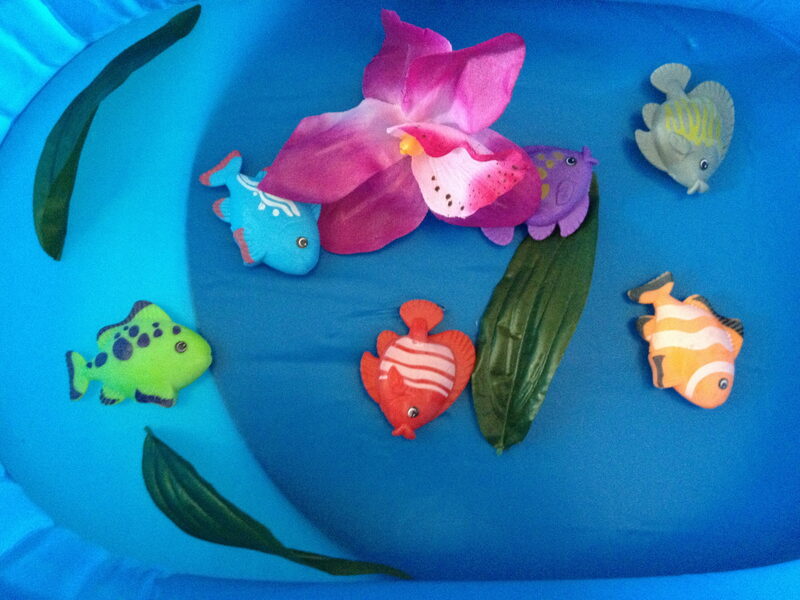 I purchased a bath mat at the dollar store (so this entire activity ended up only costing me an extra dollar!). The bath mat caught my eye because it was full of holes and I immediately knew that we could use it as a giant stencil for something. This time, I used actual paint and mixed it into the shaving cream in a muffin tin. I used washable tempera paint so that it would easily wash away during the next rain. I used shaving cream that was lemon-lime scented to add another sensory element. 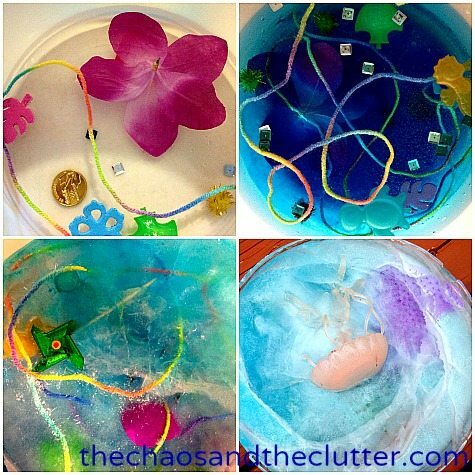 I lay the bath mat on the concrete and the kids used plastic spoons and their hands to spread the foamy paint onto it. When we lifted it up, we had a polka dot pattern on the sidewalk! 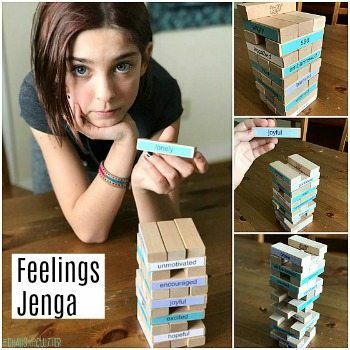 This was something that kept the kids occupied for longer than it took to set up the activity and that always translates into a success in my mind! 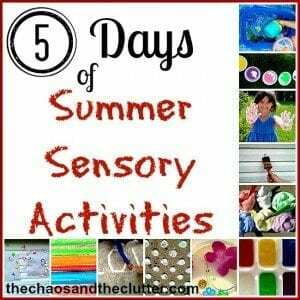 This is part of my Summer Sensory Activities Series. 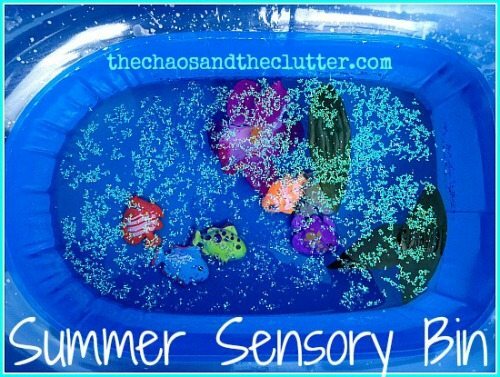 This project is so simple that I hesitate to add it to this week’s Summer Sensory Activities but sometimes, the easiest projects are the best! 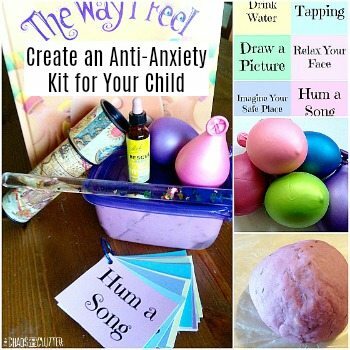 All that is needed for this activity is water and paint brushes and/or rollers. We used old paintbrushes that we already had and a pack of two foam rollers that I picked up at the dollar store. 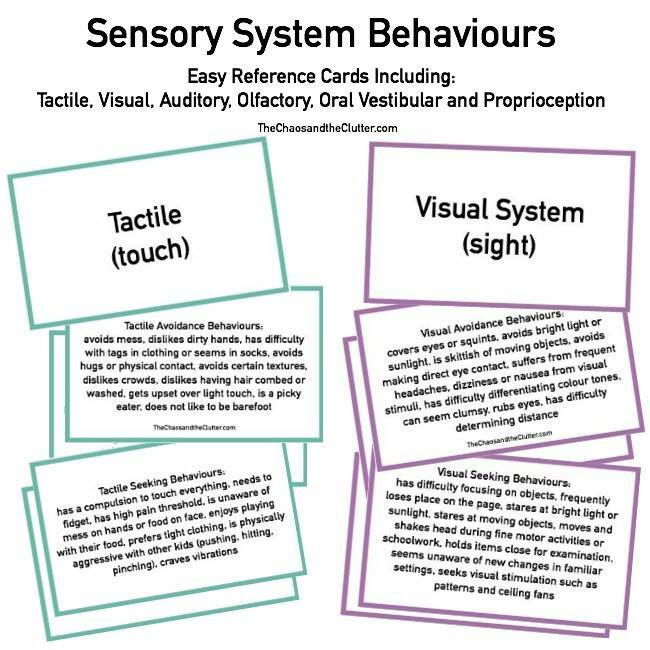 This activity is perfect to be used after the Cotton Ball Throw! 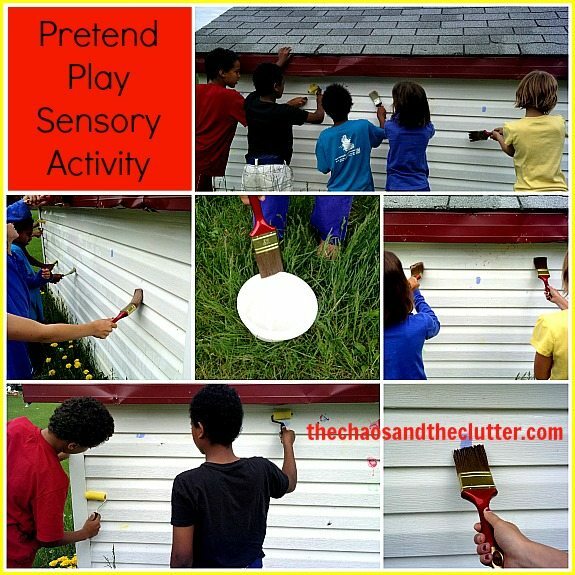 Have the kids “paint” away the paint residue left on your fence or in our case, the playhouse. 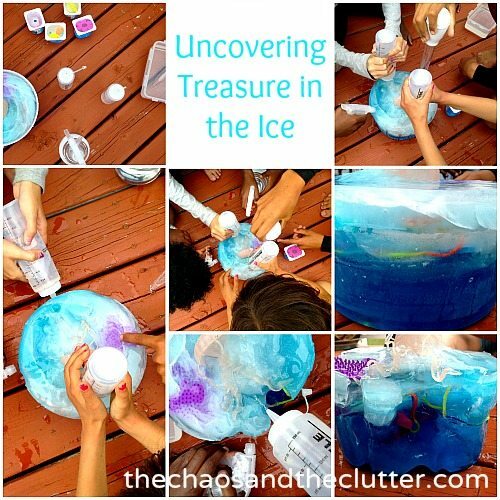 The key to this activity is to make it fun and not a chore or consequence. Kids love pretending they’re painting and having the added bonus of being able to see results when they are able to “paint” away the colour makes this even more fun! I’m joining in the Summer Hopscotch with the lovely ladies of iHomeschool Network.